All eyes are on the Olympics at the moment, but beyond the madness of London, cluster munitions are still executing their dirty deed with gusto. In Serbia last week, two soldiers were killed during a clearance operation along the border with Kosovo. According to the Serbian defense ministry, the soldiers died after a cluster bomb exploded as they cleared a mine field near their barracks on Mount Kopaonik in southern Serbia. The cluster bomb was from NATO’s bombing campaign during the 1998-1999 Kosovo conflict. Serbian cluster bomb survivor and campaigner against the weapon, Branislav Kapetanovic, said the deaths highlighted how “absurd” it was that Serbia had still not signed the Convention on Cluster Munitions, a landmark treaty which bans the stockpiling, use, transfer and production of cluster munitions. It sets strict deadlines for land clearance and stockpile destruction and requires victims be given assistance. In comments carried on the Cluster Munition Coalition (CMC) website, Branislav said: “This tragedy demands urgent action. It is absurd that after all these years Serbia still hasn’t joined the Convention on Cluster Munitions. We cannot allow new casualties from this weapon. Every unexploded cluster bomb can cause an accident, every cluster bomb stored can be used some day. Only by destroying them and banning them entirely [can] we prevent future suffering”. Despite having around 15 square kilometres of cluster munition contaminated land, Serbia has not signed the Convention on Cluster Munition, and according to the CMC, maintains a stockpile of the weapon. Figures of mine and explosive remnants of war casualties in Serbia are not available. The Landmine and Cluster Munition Monitor reports that in 2004, 1,360 casualties (24 killed; 1336 injured) were reported between 1992 and 2000 by Serbia and Montenegro. 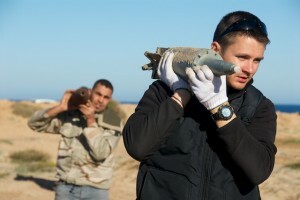 According to the Libya Herald, an Estonian deminer was killed earlier this month by a cluster munition. The newspaper said: “Kaido Keerdo, 31, was a veteran of the Estonian Army’s Explosives Ordnance Disposal unit and had trained in Kenya and worked in South Sudan before coming to Libya. He was working with the charity Danish Church Aid (DCA) when he died.” He was reportedly killed by a “Type 84″ anti-tank mine, a Chinese cluster munition that that seriously wounded two other de-miners working in the same area last year. Keerdo and many other brave women and men risk their lives every day to try and eradicate cluster munitions and other repugnant explosive remnants of war. They get up every morning to go out to risky areas so that the rest of us may be safe from harm. Sadly, many die in their efforts, killed by indiscriminate and inhumane weapons of war. I would like to take this opportunity to thank you Keerdo for his selfless work and offer my heartfelt condolences to his family and every other family who has been affected by cluster munitions. Keerdo and his colleagues died doing the most noble work there is: protecting others. May he rest in peace and may the world one day be free from cluster munitions. BEIRUT: Despite not signing the 1997 Mine Ban Treaty, Lebanon has made considerable progress on mine clearance operations in recent years and appears to be moving closer to signing the treaty, a report by the International Campaign to Ban Landmines (ICBL) has said. 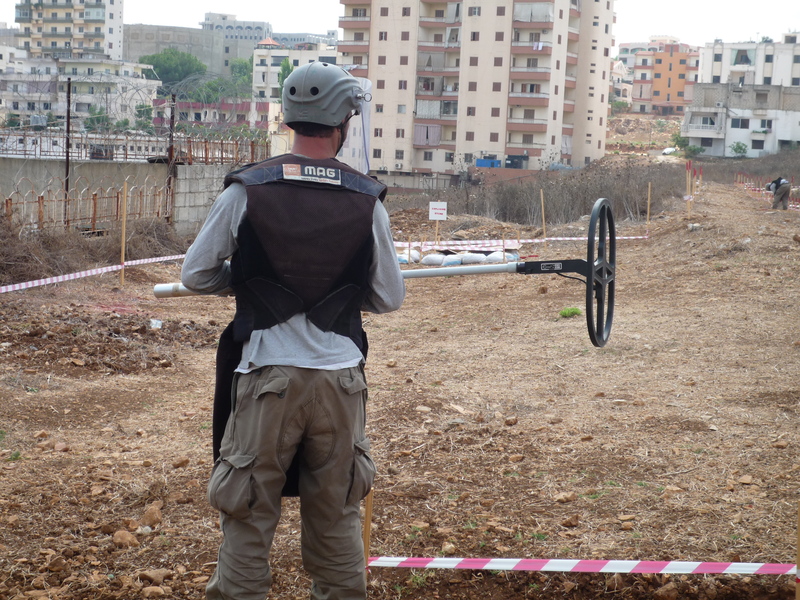 “Landmine Monitor Report 2009: Towards a Mine-Free World,” released Thursday at the UN, said that although Lebanon was continuing to carry out mine-clearance activities, these efforts were facing significant set-backs because of a lack of funds. Lebanon’s actions were in sync with a global trend to curb the use and effects of mines and other unexploded remnants of war, the 1,253-page report said. Lebanon is contaminated by land and sea mines laid by Israel during its withdrawal from South Lebanon in 2000 and during a 34-day war in July 2006, and to a lesser extent, by mines planted by Syria during the 1975-90 Civil War. Around 5 percent of the country’s agricultural land is affected by cluster munition contamination. Some 80 percent of the world community has signed the Mine Ban Treaty, and though 39 countries, including Israel and the US, have yet to join, most are more or less in compliance with the treaty’s core provisions. Although there are thought to be at least 2,720 mine and explosive remnants of war survivors in Lebanon, victim assistance programs fall short of expectations, ICBL said, citing a similar global trend. In Lebanon, the report found the cost of services and transport, insufficient psychological and financial support, and lack of awareness of services available were barriers to the rehabilitation of survivors. Risk education programs also needed improvement. The ICBL report also noted that although Lebanon was the fourth top recipient of mine action funding in 2008, receiving some $28.2 million, donor fa­tigue has since led to serious cut-backs in clearance operations. There were 64 mine-clearing teams operating in Lebanon in the months following the war in 2006, with Hizbullah volunteers also working to clear an unknown number of cluster submunitions. Today only 18 teams remain. But with seven deminers and peacekeepers killed and 12 injured since 2002, 352 people injured or killed by cluster bombs since the cessation of hostilities in 2006, and the fact that “areas contaminated by cluster munition remnants [in the agriculture-dependent South Leba­non] … are very difficult to mark,” clearance efforts are es­pecially urgent, the report noted. BEIRUT: UN Secretary General Ban Ki-moon has renewed calls for Israel to pay Lebanon around $1 billion in compensation for damage inflicted during the summer 2006 war with the Jewish state, news reports said on Saturday. The figure, which is based on calculations made by the World Bank, is intended to reimburse Lebanon for environmental and material damage it suffered during the war but most notably Israel’s bombing of the Jiyyeh power station, said the daily Al-Akhbar newspaper. The attack, considered to be Lebanon’s worst ever environmental disaster, released between 12,500 and 15,000 tons of fuel oil into the Mediterranean Sea, polluting two-thirds of Lebanon’s coastline and endangering already vulnerable marine life. It also affected northern neighboring countries, including Syria. Ban will present a report on the oil spill to the UN General Assembly before October this year, said Al-Akhbar. The report is said to include findings by the Lebanese National Center for Scientific Research and the French Research Institute for Exploitation of the Sea, both of which have gathered evidence in Lebanon showing the increase of such medical conditions as skin diseases and pneumonia following the war. In addition to environmental destruction, Lebanon suffered substantial damage to its infrastructure during the 34-day war, in which 1,200 Lebanese – mostly civilians – were killed and 4,409 wounded. Throughout and following the conflict, Israel maintained a tight sea and air blockade on the country, hampering humanitarian assistance and evacuation efforts. A report published by the UN-appointed Commission of Inquiry on Lebanon in November 2006 found that Israel had used “excessive, indiscriminate and disproportionate use of force” during the conflict, which followed Hizbullah’s capture of two Israeli soldiers. The Lebanese government said 32 “vital points” came under attack, with 109 bridges, 137 roads and 137 factories targeted by Israeli air strikes. Thirty UN positions came under “direct attack,” added the report, resulting in the death of internationally “protected personnel.” A number of medical facilities and private homes also came under fire. The UN report said it was “convinced” that the bombing of Jiyyeh was a “premeditated” attack and that it “considers that it will take years for Lebanon, with the help of the international community, to be able to rebuild all the damaged buildings and other facilities.” Israel’s actions, which the UN dubbed “collective punishment,” led to the internal displacement of 735,000 people and the evacuation of 230,000 others. Lebanon also continues to suffer from the presence of unexploded cluster munitions. Israeli artillery and warplanes dropped an estimated 4 million cluster bombs over South Lebanon, most during the last 48 hours of the conflict – after a cease-fire was assured – the UN estimated. Earlier this month, the body responsible for de-mining efforts in Lebanon, the UN Mine Action Co-ordination Center, said it would be forced to halt its work due to a lack of funds. Israel has ignored all UN requests made since August 2007 to compensate Lebanon.